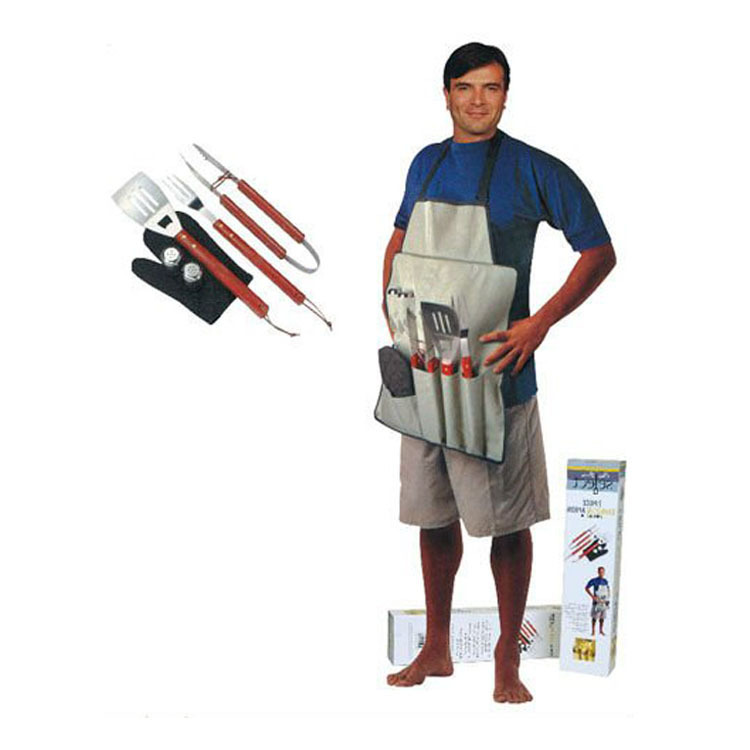 The durable polyester canvas tote unfolds and converts to Bbq Set With Apron with several pockets-includes BBQ mitt and chef's hat.Deluxe Grill Tools Set included are one each:BBQ Spatula / Turner with bottle opener, fork and set of Bbq Tongs.Apron incorporates adjustable crisscross back straps with easy-close buckles at the waist.Stainless steel ,Bbq Utensils also feature cylindrical hand grasps and hooks on the ends for hanging. Looking for ideal Apron Bbq Tools Set for Party Manufacturer & supplier ? We have a wide selection at great prices to help you get creative. All the BBQ Tools Set in Apron are quality guaranteed. 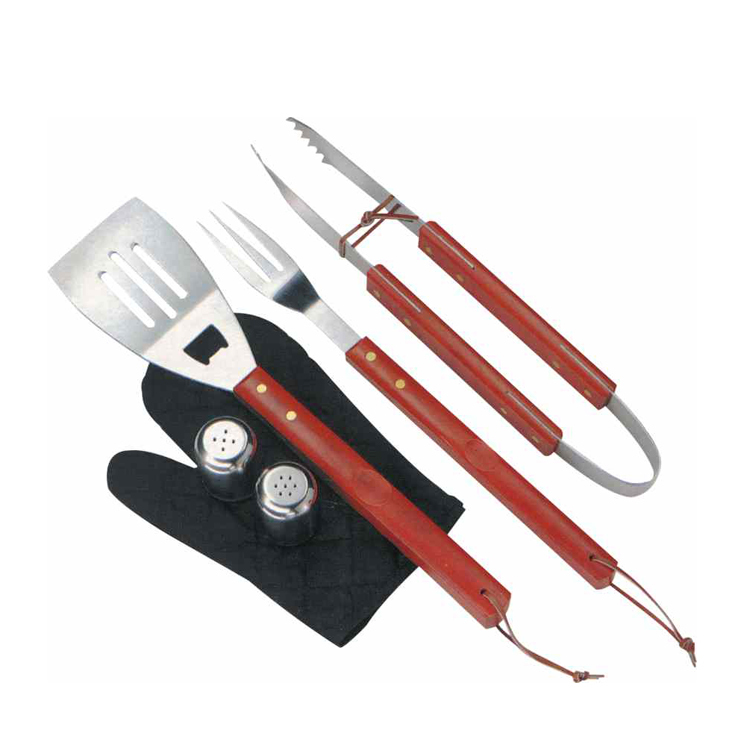 We are China Origin Factory of BBQ Tools Set with Gloves. If you have any question, please feel free to contact us.